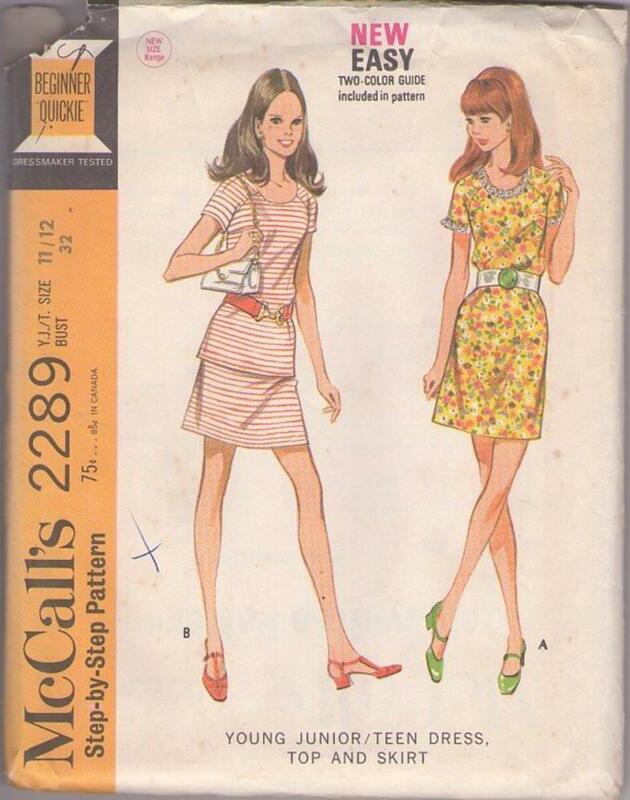 1970, 70s Mod, Retro Knits Clothing Patterns - Dress or top with matching skirt. Darted dress or top have faced round necks, center back zippers and purchased belts. Short raglan sleeves have shoulder darts. Dress has lace ruf. fling on neck and sleeve edges. Skirt is gathered at waistline by elastic in casing.